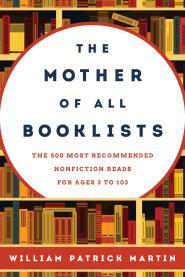 The Mother of All Booklists: The 500 Most Recommended Nonfiction Reads for Ages 3 to 103, by William Patrick Martin, is basically a crowdsourced book list. 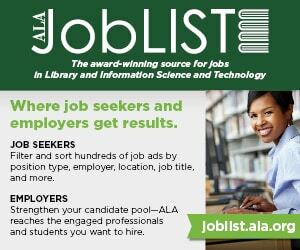 The autho r gathered 155 authoritative and influential lists of award-winning books and recommended reading lists from a spectrum of organizations, including parenting groups, state commissions on libraries, libraries, library publishers, library reviewing journals, school districts, and museums. The resulting 20,000 titles, categorized by age range, were ranked by frequency of recommendation. And that is the order in which the titles appear in this list. To make the volume useful for readers’ advisory, there are categorized listings and a bibliography. This is the companion volume to A Lifetime of Fiction: The 500 Most Recommended Reads for Ages 2 to 102. In 2012 Maura Kelly wrote “A Slow-Books Manifesto” in The Atlantic, with the subtitle, “Read books. As often as you can. 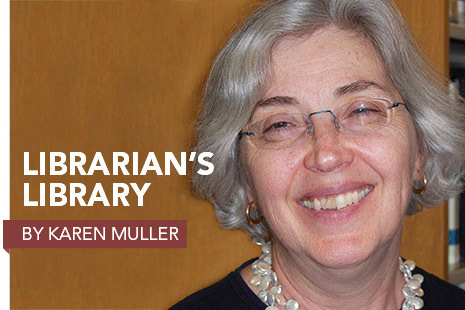 Mostly classics.” In The Slow Book Revolution: Creating a New Culture of Reading on College Campuses and Beyond, editor Meagan Lacy picks up the theme and offers ways for academic libraries to support it. 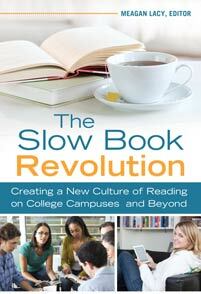 “Slow books” is reading a book slowly, so as to savor the language, the plot development, and the messages. Classics and works of literature hold up to the scrutiny and engagement—and on college campuses, they afford students with reasons to think and discuss in ways that assigned coursework reading may not. Lacy assembles a set of essays on the slow books movement and why it should be supported in an academic library, with examples from book clubs and theme-reading promotion programs on college campuses, and how to inculcate the practice into a lifetime of reading. Includes readers’ advisory tools. 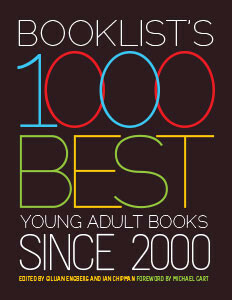 In his foreword to Booklist’s 1000 Best Young Adult Books Since 2000, Michael Cart outlines the trends and influences that have worked to create the burgeoning YA market. Genres developed that appealed to older youth. 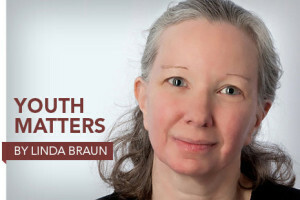 Kids hooked on Harry Potter when Harry first went to Hogwarts sought more engaging fiction, “adult” authors began writing for youth, and adults began reading YA literature. Winnowing the output to the 1,000 titles, both fiction and nonfiction, was the work of Booklist editors, led by Gillian Engberg and Ian Chipman. The fiction list is segmented into contemporary fiction, graphic novels, historical fiction, mystery and suspense, and speculative fiction; the nonfiction list—some 200 titles—is grouped into art, history, poetry, science, and social science. In all cases, the annotation is the signed Booklist review. 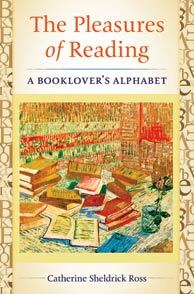 Thirty essays covering everything from e-reading to marginalia to vampires make up The Pleasures of Reading: A Booklover’s Alphabet, by Catherine Sheldrick Ross. 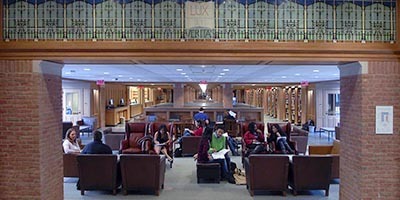 Some essays draw on interviews conducted by graduate students that Ross, now a professor emerita of library science, taught in genre fiction and reading classes. 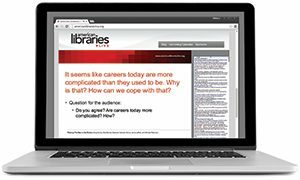 Other essays draw on Ross’s own extensive research and interviews of avid readers to answer a range of questions. The result is a celebration of readers and the pleasures of reading, with musings on why we love to read, how books are marketed, how people choose their reading, and even a charming essay about unreadable books. As appropriate, some essays have bibliographies for further reading. The importance of reading and how the ability to read is valued when the opportunity to read may be most limited are documented by Molly Guptill Manning in her new book, When Books Went to War. 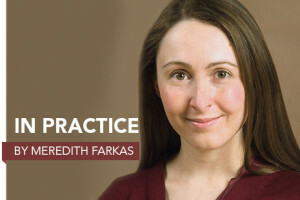 Manning tells the story of how books supplied to American troops in World War II affected both morale and the face of publishing and education after the war. The effort was jump-started by ALA’s National Defense Book Campaign (later named the Victory Book Campaign) in 1941, an effort that yielded a “landslide”—some 10 million books collected in its first months. Lightweight magazines and paperbacks followed in the form of Armed Services Editions, giving American troops ample reading material in the form of the donated books or inexpensive paperbacks spanning the range of popular writing. The list of titles in the Armed Services Editions contrasts sharply with the list of authors banned in Nazi Germany, also included.